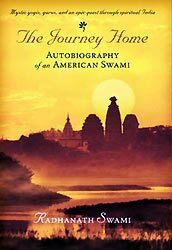 Richard (now Radhanath Swami) met Vasudev, a handsome sadhu in his thirties. Although Vasudev wore immaculate dress, spoke the Queen’s English and was gentle and charmed all, Richard felt something strange about him. Vasudev revealed his heart to Richard; he was constantly tormented by black magic and tantric attacks of a powerful leader of a black magic cult. This leader tried to control Vasudev’s mind through his spells and with the help of his associates constantly tormented Vasudev and demanded he surrender to the cult leader. Vasudev was constantly running for his life in fear of this evil tantric. 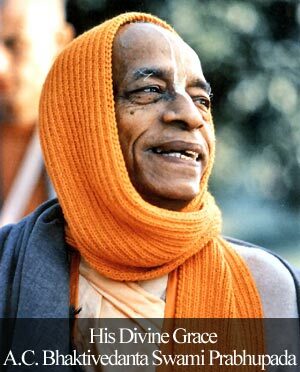 Radhanath Swami recommends that to survive such horrible attacks, a spiritual practitioner has to intensely pray to the Lord for protection. It’s also important that we keep our external surroundings clean and also our mind pure by cultivating positive thoughts of love, and service. Reading spiritual books and associating with people aspiring to lead a pure life gives us the immunity from black magic spells. Radhanath Swami narrates with great relish the activities of Bhakti Vinod Thakur, a great Vaishnava saint and teacher of the nineteenth century who fought against such evil black magic tantrics. The British thought him a revolutionary for speaking out against the British rule, so the district governor of Bengal drew up arrest orders. However, nobody dared to act upon these orders, fearing Bisakisena’s mystic powers. In 1873, Mr. Ravenshaw, the district commissioner for Orissa, requested Sri Bhakti Vinod Thakur to bring Bisakisena to justice. Sri Bhakti Vinod Thakur went personally to see Bisakisena. The yogi showed some powers that would normally scare off an ordinary man, and informed Sri Bhakti Vinod Thakur that he knew well who he was, but that since he (Bisakisena) was the Lord, Sri Bhakti Vinod Thakur better not interfere with him. That was enough for Sri Bhakti Vinod Thakur who replied by acknowledging Bisakisena’s accomplishments in yoga and tantra and requesting him to come to Puri, where he could receive the blessings of Jagannatha, the famous deity of Krishna there. Bisakisen’s haughty reply and argument made Sri Bhakti Vinod Thakur furious and he immediately arrested the mystic and threw him in jail where he was guarded by three dozen constables and seventy two policemen. This is awe inspiring story of a great saint who fought against the dangerous black magic spells on the strength of his devotion and faith in God. 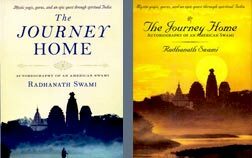 Radhanath Swami also teaches us that God’s shelter is the only way we can be fearless and protected from all dangers in this material world. The power of devotion smashes the power of mystic yogi. This true incident shows the compassion of the great devotee who take great pains to bring truth to the people in general who are ready to be cheated. If we follow path Bhakti ie Devotion under guidance of authentic Guru then Lord takes care of his devotee. Here Radhanath Swami very wonderfully explained expected qualities in devotees like as determination, Faith, and sincerity in word Lord.Thank you Radhanath Maharaj shearing nectarine drop.Thank you Radhanath Maharaj.